In the interactive map you can see the plots where different agro-environmental schemes could be applied in Lithuania. Different colors mark different schemes. Measures are taken in Ignalinos, Visagino, Alytaus, Šilutės, Klaipėdos, Pagėgių, and Marijampolės municipalities. The aquatic warbler, like other grassland bird species that have adapted to living in agricultural areas, are going extinct because of overly intensive farming techniques, wetland drainage, and land use change. The warbler also suffers when agricultural pastures are completely abandoned. Conserving the aquatic warbler is only possible through constant attention from farmers and agricultural activity. In Lithuania the majority of the meadows in the polders of the delta of Nemunas are intensively cultivated. Mowing there starts early (in the middle of June) when the first brood of aquatic warblers is hatching. In order to protect these birds, it is necessary to allow them to raise both summer broods, i.e. to delay mowing in the breeding sites. Farmers need an incentive to get engaged in activity that helps the aquatic warbler, but could hurt them economically. They have the option to practice voluntary environmental methods with the Rural Development Program serving as an incentive. 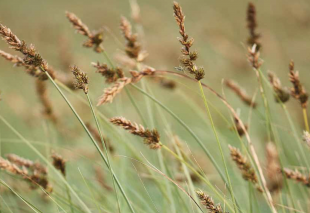 SUSTAINABLE AGRICULTURE AND CLIMATE – Compensation for losses caused by participation in agroenvironmental practices that protect the aquatic warbler. 2. Protecting the threatened aquatic warbler and the natural and semi-natural grassland habitats it lives in. 3. Protecting the aquatic warbler in wetlands. This measure is a very important precondition for ensuring a long-term maintenance of the aquatic warbler’s habitats in a good condition. This measure is applied only in the territories identified by the specialists that are important to the aquatic warbler and it lays down special terms and conditions securing successful breeding of the majority of aquatic warblers. The farmers who participate in this measure receive payments as compensation for the losses suffered due to the restrictions. making aquatic warblers healthy – refuse the usage of hazardous substances in your everyday life and farming. 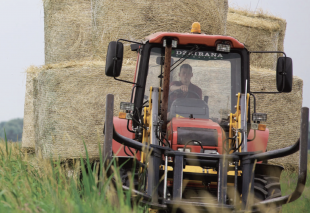 This publication introduces a unique nature of the Nemunas delta region, talks about the delta’s farming traditions, the role of biodiversity. This publication contains information about the peculiarities of farming in Aquatic warbler territories and financial support measures for farmers of endangered bird habitats.